Jason Pierce, Steilacoom Historical School Board of Directors (discuss upcoming school district efforts to buy and welcome EVs). 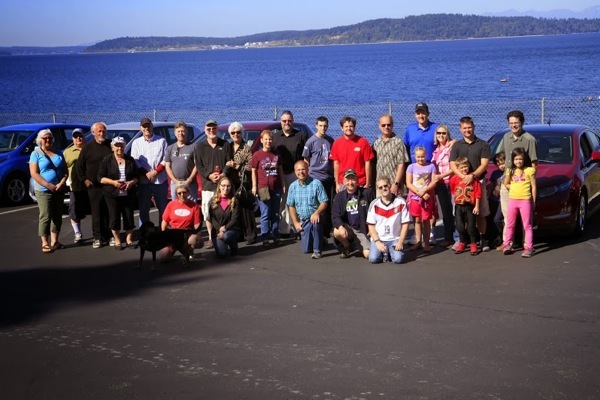 We will assemble at noon at the Sunnyside Beach Parking lot (a half mile North of downtown Steilacoom) in the marked area for a group vehicle and owners photo shot at 12:20 PM.. Hopefully we will have nice weather with the Olympic Mountains in the back ground. Then we will all go to the Beach Covered Pavilion to enjoy some food and beverages. Bring your own food, will have a grill operating, be ready to share if you can! We expect 20 cars and 60 people will attend, reservations so far have us at 18 cars and 54 people. At about 1:30 PM we will give everyone 3 to 5 minutes to talk about their EV experience. Great way to have a group share. Registered attendees report 261,084 electric miles driven.